There are those who are scared of changes, those who do not believe they are possible, those who instead postpone them with the typical words “tomorrow” and “sooner or later I will do that”. Change is possible and it has been proved by Alice Waters, the one who transformed the way Americans eat and think about food, directing them towards healthier and more genuine ingredients. Eleven books, about a dozen of awards, a small restaurant and hundreds of participation in discussions and television programs: these are the numbers of her success. It was 1971 when in Berkeley, a well-known university town in the bay of San Francisco, Chez Panisse opened its doors bringing its founder to be considered one of the most authoritative and influential voices in the speeches about what we eat on a global level. French its name – dedicated to Honoré, the most generous and kind character in Marcel Pagnol so-called Castilian trilogy – and it offers a French-inspired menu, with a Michelin star, it is in the top 50 best restaurants in the world. And it all started in France, exactly Paris, where, in her early twenties, Waters went to study at Sorbonne. Thus, it all started from the capital: here occurred her first encounter with food, she loved it, and here had the idea to open her own bistro. Always at the center of media attention, she is not really a cook, at least not in the general meaning, because she has never attended a cooking school, she is neither a businesswoman, indeed, at first her restaurant lost money, nor a writer in the strict sense of the word despite the popularity of her cookbooks. With a charisma to spare, from the old palace on Shattuck Avenue, she ruled the roost with “3 S”: sustainability, seasonality and simplicity. Therefore, only fresh, seasonal, locally and, when possible, organically grown ingredients, simply prepared to enhance the flavor and engage all five senses. Working on food habits, which take form when you are a child, with these principles, the vice president of Slow Food International led the battle, or rather, her “delicious” revolution giving rise to the “edible schoolyard” to show students, from children to teenagers, why eating healthy is important. In addition to school, the queen of simple food went to the White House to convince the First Lady to plant an organic vegetable garden. Her mission has been fertile here too. It has been almost three years since in the Centro Commerciale Campania in Marcianise Slow Food Campania Education created a garden with all regional products under its protection. 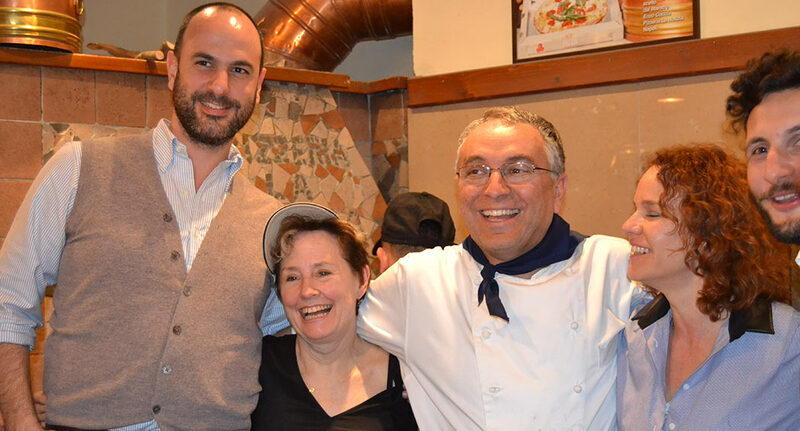 During her visits in the province of Caserta, Waters can’t make a stop at La Notizia, the first pizzeria to have adopted that philosophy using high quality products.